We are starting a once-a-month sewing group for the youth – Saturday afternoons. I have selected a beginner quilt pattern and each youth will be sewing their own quilt. We will go over the basics of how to make a quilt and I will be there to answer questions and help out. This will be so much fun! I love to sew and I am excited to share this with everyone. Any youth 13 and older is invited. I would like to extend the invite to youth younger than 13, but ask that a parent come to help. I would also like to invite any interested adults to join us. Bring your own project, sew ours, or just come and visit/help out. I have only been sewing a couple of years and love to sew with others – I learn something new every time. Have fun and socialize while sewing – that is the best part of group sewing! 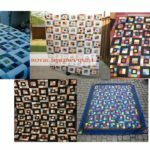 Quilting fabric – there are cheaper and more expensive materials. Try to get a good quality material, it will last longer. Any questions, give me a call. The pattern I picked out is a Royal Squares Quilt (free pattern), it finishes to 56” by 72” but depending on how you would like to finish your quilt, it can be bigger. Below is a few pictures. You can be creative in your color schemes – make it yours! We held our youth Christmas party on December 16th. 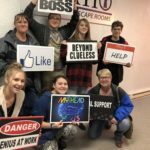 A few of us started at the Escape Room. We managed to find the virus and save the world with 1 minute to spare! 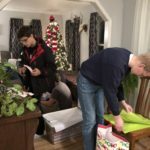 Afterwards we wrapped presents for our congregation (our congregation adopted seven families from the Christmas Angel Tree program) and then made up gift bags for children to take home after the Christmas Eve Candlelight service. We ended the evening with dinner and dessert! 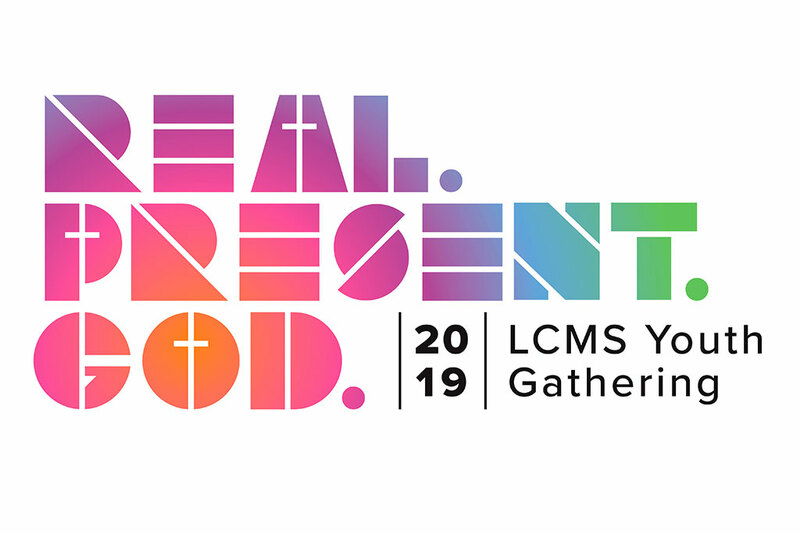 Youth between 9th and 12th grades will be attending from Hope Lutheran Church – can’t wait, this is a wonderful experience. Hint: Click on the picture! And HERE!